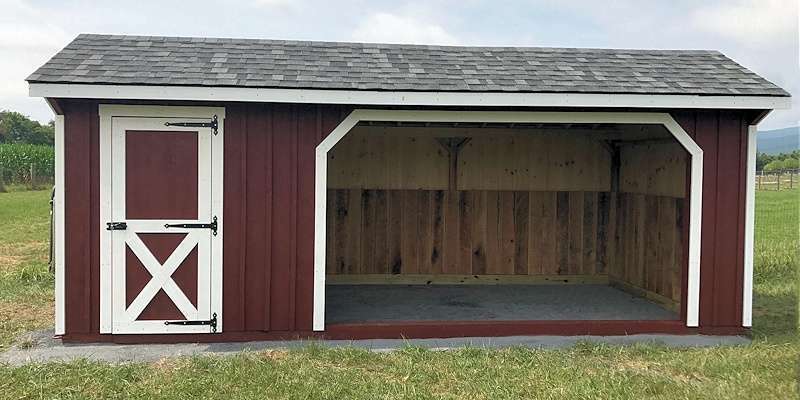 Run In Sheds, Shedrow Barns and Lean-to Sheds with large overhangs. 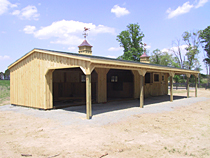 Built by Authentic Amish craftsmen in Lancaster County, PA, all of our buildings offer superb construction, unique design and horse friendly structure. Our equine sheds are portable (modular), but as an option, may also be built on site if no access is available. From a small 8'x8' run-in shed to a large 12'x50' five-stall shedrow barn, we can accommodate most of your needs. Number of options, such as stain, cupolas, larger overhangs, etc. are available to enhance the looks & functionality of any of our buildings. See our SPECIAL PRICES for our Prefab Run-Ins and Shedrows. 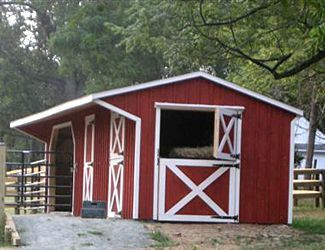 We now offer several different barn sizes at a Discounted price. 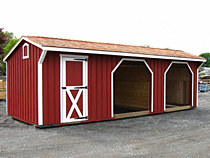 Many different options are available for all of our horse sheds & barns. If you are looking for something special, we might be able to design a building just for you. Tip: Shopping around for Run In Shed or Shedrow Barn? Always compare delivered price, standard features & options included! 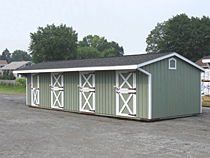 All of our portable horse sheds & barns are built by a small local Amish owned company, here in Lancaser County, Pennsylvania. It is a family owned business that employs only Amish builders. In fact, as of now, this company has only four employees plus an owner that also works full time in the shop building barns and taking care of his business. 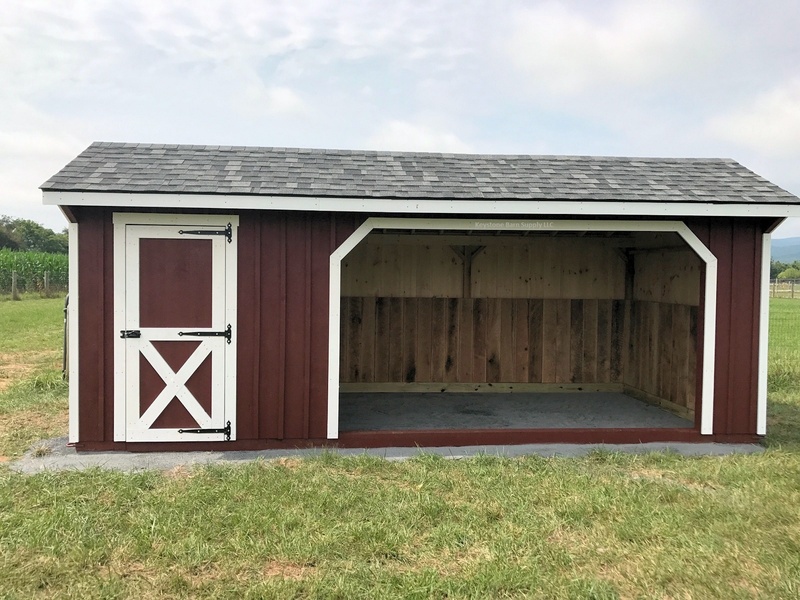 By purhcasing a horse barn from us, you'll not only get a quality constructed building, but willl also be supporting their business and their family.